Whether you’re ready to buy a home or preparing to sell your current home, a roof inspection can prove invaluable. A professional roof inspection by Tony's Roofcare Inc. can uncover any defects and problems with the roof, and offer potential solutions so both buyers and sellers can make the right decisions associated with purchases and repairs. Learn more about the roof and its condition. Protect yourself from potentially large repair expenses. Use any flaws to negotiate on purchase price. Learn more about any potential roofing issues that could interfere with a sale. Protect yourself against any future legal action. Get the best price on the sale. Cracked or loosened tiles or shingles. Visible water damage on the roof or ceilings. Hail damage on the roof. Dilapidated shingles that are curling, cracking or splitting. The appearance of moisture or rot under the shingles. Flashing (which helps stop leaking by protecting the space between a vertical wall and a sloped roof) is broken or missing. We can provide you with documentation attesting to the age and quality of the current roof. As a buyer, a roof inspection can help you avoid a nasty and expensive shock post-purchase.As a seller, the inspector’s findings provide you with an opportunity to make repairs so the home can pass inspection and the sale can be finalized. Get peace of mind before you buy or sell a home. 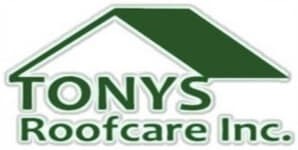 Call Tony's Roofcare Inc. at (253) 841-7779 or submit our online contact request form to schedule a roof inspection.